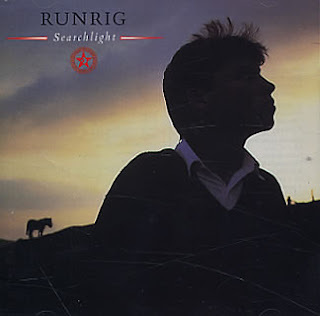 I often feel I should have liked Runrig, certainly at least back in the days when they were really popular. Proclaimers’ music without the glasses, a friend once described their stuff, so I was persuaded along to this gig in Edinburgh to see for myself. Proclaimers’ music without the wit, melodies or talent was my eventual summary. No, I did not enjoy this one at all. I could not fault the band for musicianship, and Donny McLeod could certainly do the chanting thing, but there just seemed, I don’t know, just a bit too much forced and contrived emotion going on. That I was totally unfamiliar with the songs did not help, but they all sounded so alike. Every single one was a bloody epic. Clap-along-a Big Country I eventually christened it. I can recall one song which McLeod introduced with a rant about how he could not understand how a salmon in the sea can be free, but as soon as it swims upstream into a river, it belonged to the local Laird or whoever. That song was good, and I remember another slower rhythmic one when the stage was bathed in blue light which was also quite enjoyable, but that was it. Loch Lomond of course was played, but that is such a powerfully emotive song, particularly if you know the story, one would have to be a real numpty to mess that one up. Proceedings were not helped by the fact I was stuck seated beside an overweight Nana Mouskouri lookalike who kept dunting me with her elbows as she danced standing next to me, but this gig was certainly one to (attempt to) forget.